Something about the story of young Almanzo Wilder growing up on a big farm in New York State gripped me, and I must have read it at least a dozen times! 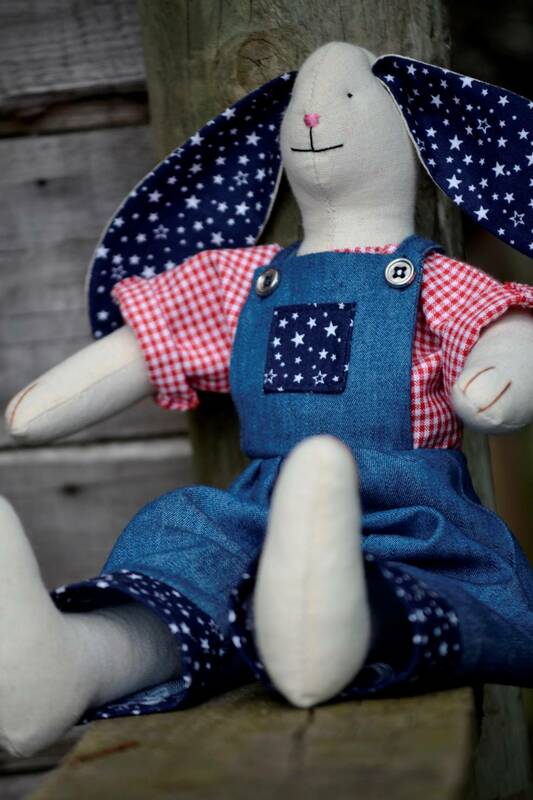 While we are on the subject of farmers, I just had to share a picture of this little farmer boy bunny I created for an Etsy customer this week! 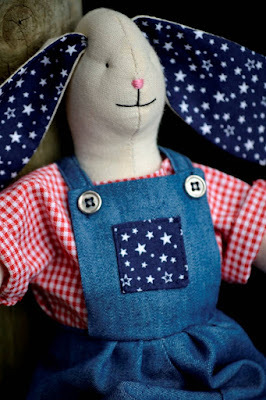 This navy blue star fabric I bought to use in our baby's sea-themed quilt, and I used leftover fabric to make this rabbit's ears, pocket and the cuffs on his dungarees... I added little buttons to the dungaree straps as well. Stay tuned for some Farmer Boy bunnies coming soon to my Etsy shoppe! 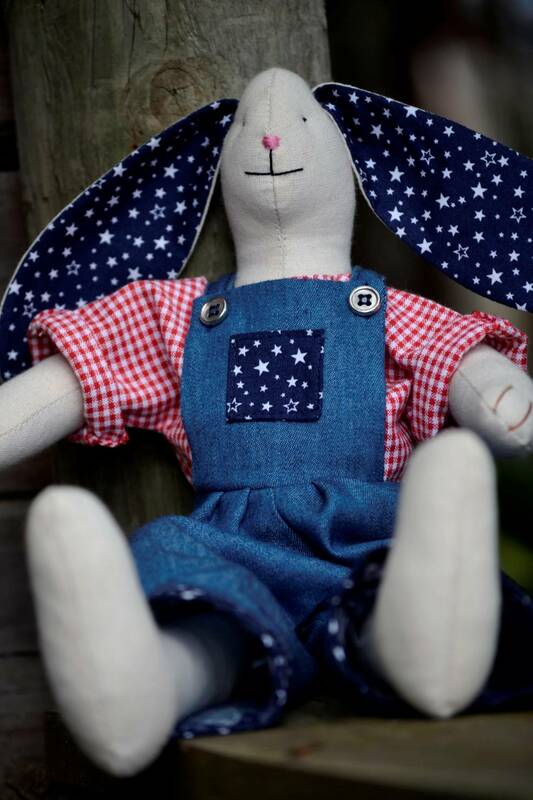 And remember, I offer customized orders, so if you are wanting something in particular, please feel free to send me an Etsy conversation and I will do my utmost to create something just for YOU! Blessings on your Sunday, friends! My darling, you're giving life to such a wonderful family of Bunnies !